The Cotswolds are the very picture of the English countryside, a landscape of gently rolling hills and picturesque valleys that visitors can't help but be charmed by. Located mainly within Gloucestershire and Oxfordshire, but also crossing into Somerset, Warwickshire, Wiltshire and Worcestershire, the Cotswolds have been officially designated as an Area of Outstanding Natural Beauty, and it's certainly not hard to see why. The unspoilt landscapes are a perfect place for a holiday where you can relax, explore, and drink in the scenery of this beautiful location. The gorgeous settlements scattered through the Cotswolds are no less appealing than the countryside itself. The honey-coloured Cotswold stone quarried from the area is easy recognised and typifies the traditional cottages built in the villages and towns found here. Stumbling upon these little places can be a delight and it's well worth just exploring and seeing what you can find. As well as smaller settlements, the Cotswolds also boasts a number of stately homes, historical castles, and grand churches which offer an insight into the heritage of the area. If you're looking for larger, more thriving towns, you can head to Cirencester, Stroud or Tewkesbury, or travel to the more urban surroundings of Gloucester or Cheltenham. 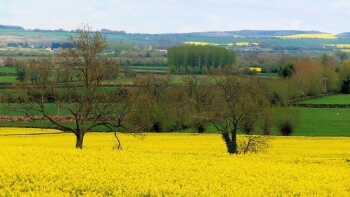 The unspoilt countryside of the Cotswolds lends itself well to a rich abundance of wildlife. 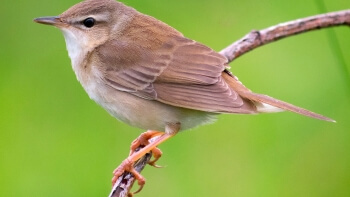 The bird life is particularly rich here, with the Cotswold Water Park an excellent place for spotting warblers and nightingales, as well as a range of water birds. If you have no luck spotting animals in the wild, why not visit Cotswold Wildlife Park near Burford, or Birdland in Bourton-on-the-Water? The Cotswolds is a paradise for those who love a countryside walk. As the largest Area of Outstanding Natural Beauty in England and Wales, you'll never run out of places to roam or beautiful new vistas to discover within its serene rolling hills, where each part of the landscape has its own identity as it crosses through six different counties. Cyclists and horse-riders will find it equally inviting. Despite its natural look, there's no question that human habitation has left its mark on the Cotswolds, and its history is well worth exploring. 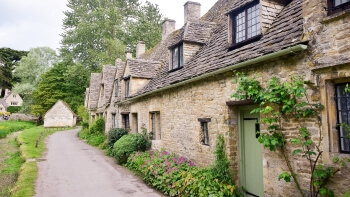 Traditional villages built from colourful Cotswold stone abound here, giving a glimpse into the past. You'll also likely see a number of elaborate 15th century churches, which were funded by the great riches of the Cotswolds wool trade at the time. Take a tour or just explore this amazing medieval cathedral. There's so much to see here, with a range of architectural wonders, incredible exhibits and fantastic structures for you to see. 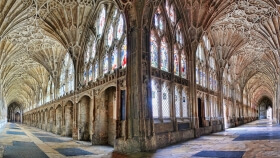 Harry Potter fans will also recognise areas from the cathedral that served as the backdrop for many scenes from the films, particularly the medieval cloisters (covered passages). 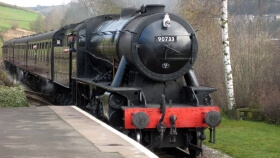 Running along the border of the Cotswolds, between Broadway in Worcestershire and Cheltenham Racecourse in Gloucestershire, the volunteer-operated Gloucestershire Warwickshire Steam Railway offers a nostalgic way to traverse some of the most spectacular scenery around. A 28-mile round trip on a steam or heritage diesel train makes for a fantastic day out. Walks with Hawks offers the opportunity to enjoy a unique falconry experience where you can handle and fly a number of different birds of prey - bear in mind you will need to pre-book if you're interested. 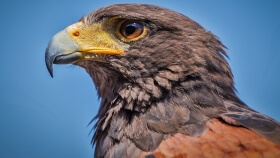 The Cotswold Falconry Centre is also worth a visit, where you can see flying displays and learn all about eagles, hawks, owls and more, with over 60 different species on display. 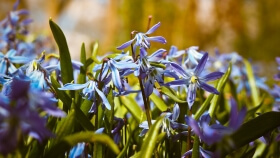 Located in the grounds of Highgrove, the private home of TRH The Prince of Wales and The Duchess of Cornwall, the Royal Gardens offer pre-booked tours for the public from April to October. A well-informed guide will take you on an engaging tour through these unique organic gardens, each of which has a different theme and approach rather than the uniformity you might expect. The gorgeous surroundings of the Cotswolds make an excellent place for a bracing bike ride, and there are plenty of fantastic trails to be tackled on two wheels. Here are six of our favourite cycling routes which serve as the perfect way to explore this Area of Outstanding Natural Beauty.